Brian joined BND Commercial as part of the Goldstine Knapke acquisition in August 2010. Currently he is president of our full-service property management division, serving office, industrial, commercial and residential real estate clients. 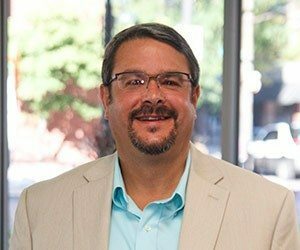 Prior to joining Goldstine Knapke, Brian was Managing Director for another local real estate firm in Fort Wayne, and he brings to BND more than 30 years experience in property and asset management, leasing and construction. Brian graduated from Valparaiso University in 1982 with a Bachelor of Science degree in Business Administration and Accounting Systems. A lifelong resident of Fort Wayne, Brian is very involved in community projects. He is an active member of the Indiana Regional Minority Supplier District Council and serves on the board of the Dupont Medical Business Park Association. Brian and his wife, Diane, have three children. In his spare time, Brian enjoys playing golf and is actively pursuing his private pilot license.